The Lebanese Civil War (1975-1990) lasted 15 years and by most estimates killed 150,000-250,000 people. It was a brutal, extended mess of a war, not unlike the one currently going on next door in Syria. And today happens to be the anniversary of the event that started it, the massacre of 27 Palestinians by Christian Phalangist fighters in the Ain el-Rammaneh district in eastern Beirut. Obviously no 15 year war happens because of one single event, and in the case of the Lebanese Civil War the roots run much deeper than the Bus Massacre. Lebanon’s roots as a state can be traced back to the Vilayet (province, more or less) of Beirut, which the Ottomans carved off of the Vilayet of Syria (or the Vilayet of Damascus, as it was sometimes known) in 1888. But its trip from Ottoman province to independent state was jump-started via some good old fashioned colonial land grabbing. One of the regions within the Vilayet of Beirut was the Mount Lebanon Mutasarrifate, named after the area’s highest peak and formed by the Ottomans as an administrative home for the region’s Maronite Christian population. When France took control of Syria and Lebanon as its post-World War I mandate, French authorities decided to grow this enclave into a “Greater Lebanon.” Christian France was historically protective of the Maronites and wanted to cordon them off from the Muslims who surrounded them. But in expanding the region into “Greater Lebanon,” the French incorporated surrounding areas that were home to Sunni and Shiʿa Muslims. So while the new mandate—soon to be a nation—was majority Christian, it also included a sizable Muslim minorities who weren’t terribly thrilled about this new arrangement. France established its colonial administration in a way that gave the Maronites preferential treatment over the Muslims, and this arrangement continued after independence. This may not have seemed like that big a problem at the time, since Christians were the majority. But as time went on Lebanon’s demographics changed. By the 1970s it was majority Muslim, and Shiʿa were its single largest religious group. And in that context, the religious power imbalance worked to destabilize the country. Tensions spiked when the center of the Palestinian refugee population and resistance movement shifted from Jordan to Lebanon. You may recall the events of Black September in Jordan in 1970, and the subsequent PLO-Jordanian civil war that ended with the PLO’s decisive defeat. No longer welcome in Jordan, the PLO made southern Lebanon its base of operations from which to strike inside Israel. PLO leaders were only supposed to strike Israel with Beirut’s permission, but in practice they hardly ever actually sought it. This meant that southern Lebanon also became Israel’s favorite place to periodically attack. Southern Lebanon being largely Shiʿa, this led to the Palestinians and the Lebanese Shiʿa developing a sort of love-hate relationship. They had common enemies in Israel, which kept bombing them and launching the occasional commando raid into their territory, and the Lebanese government, which couldn’t or wouldn’t do anything about it. But the Lebanese Shiʿa also hated the fact that the PLO had moved in and taken over big parts of southern Lebanon (a turn of events that they also blamed partially on the Lebanese government), and they weren’t terribly thrilled when the PLO invited those Israeli strikes by attacking Israel from Lebanese soil. And while Lebanon’s Shiʿa sympathized generally with the plight of their fellow Muslim Palestinians, the avowedly secular PLO didn’t try to capitalize on those feelings of religious solidarity. Many of Lebanon’s Muslims were already steamed at their government for unequal treatment and high poverty within their community, vis-à-vis the favored Maronites, so the Palestinian problem only added to the mix. The late 1960s and early 1970s was a period of overall breakdown in Lebanese society, as evidenced by the development of the militias that are about to play a major role in the war. The PLO’s arrival introduced one militia to the equation fully formed. Another militia was formed by a Druze leader named Kamal Jumblatt (d. 1977), who doesn’t really factor into today’s story but played a huge role in the coming civil war. In 1969, Jumblatt founded the Lebanese National Movement as a catch-all opposition party for leftists and Muslims (and anybody else) angry at the Lebanese government. The LNM took on a mostly Sunni character and fought alongside several Palestinian groups during the war. Meanwhile, the Maronites had their own militias, affiliated with their Phalanges (or Kataeb in Arabic) political party. Bitterly opposed to the Palestinians and fiercely protective of Maronite social and political priviliege, they formed among Christian communities who were also angry that the government couldn’t or wouldn’t do something about the Palestinian situation. It was the growing tension between the Phalangists and the Palestinians that ultimately lit the war’s fuse. On Sunday, April 13, 1975, a group of PLO fighters had some kind of altercation with Phalangists outside a Greek Orthodox church in Ain al-Rammaneh, and the driver of the PLO vehicle was shot and killed. After the mass was concluded, another group carried out a drive-by shooting on the congregation, killing four people including three bodyguards of the head of the Phalangist party, Pierre Gemayel. These shooters were driving cars that were covered in bumper stickers linking them to a PLO faction, the Popular Front for the Liberation of Palestine, so the PLO was blamed for the shooting. Almost immediately, ad hoc armed checkpoints started going up all around Beirut, manned by Palestinian paramilitaries in the west and Maronite paramilitaries in the east. It’s probably worth noting here that nowadays the prevailing theory is that the PFLP was not responsible for this drive-by. 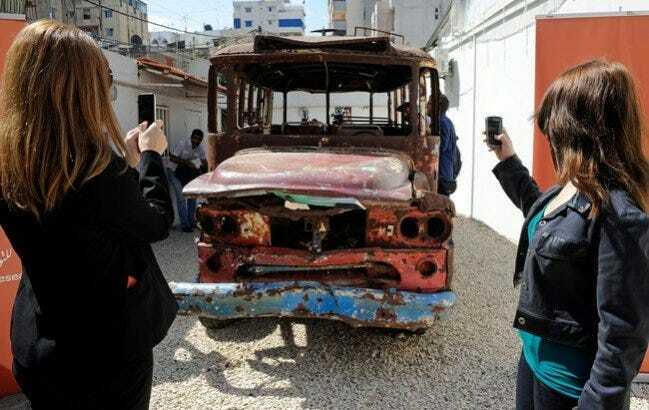 The fact that the vehicles used in the attack were covered with PFLP regalia is evidence that this was probably a frame job, though obviously the Phalangists took it at face value at the time. It’s believed that the shooters were actually members of the Syrian Social Nationalist Party, which had a long-standing beef with Gemayel going back to the early 1960s. Who actually did the shooting is of course much less important than who the Phalangists thought did the shooting, but I wouldn’t want to leave you with the wrong impression about the PFLP. The Bus Massacre led to a three day killing spree, by Phalangists on one side and PLO and LNM fighters on the other, throughout Beirut. The militias killed over 300 people, and things snowballed from there. Efforts by the Lebanese government to clamp down on the violence were met with complete disregard by the factions—Gemayel simply refused to turn over the men who had fired on the bus, for example. The PLO pulled out of the fighting in June only to jump back in the following year, and eventually the conflict came to involve Israel, Syria, and Iran, and led to the creation of Hezbollah in 1985. The war’s effects can still be felt today in the fragility of Lebanese politics. If you enjoyed this piece and want to make sure I can keep posting them, subscribe today! 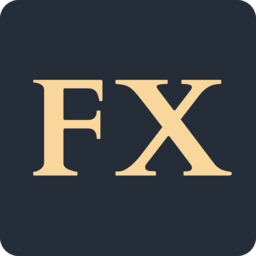 Subscribers get access to regular updates on world news, commentary, podcasts, and more.